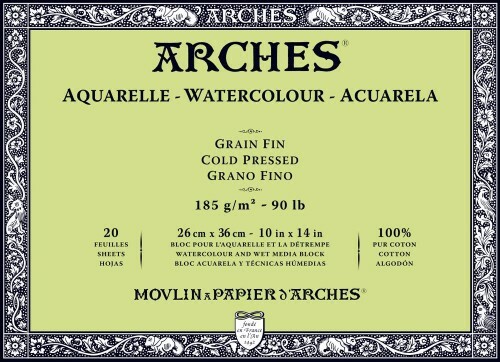 Akvarellblock Arches CP 185g 18x26 cm 20 ark. Akvarellblock Arches CP 185g 23x31 cm 20 ark. Akvarellblock Arches CP 185g 26x36 cm 20 ark. 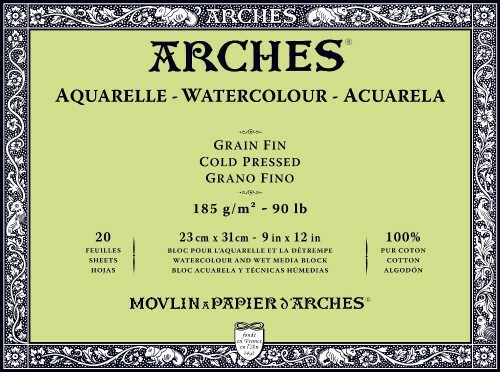 Akvarellblock Arches CP 185g 31x41 cm 20 ark. 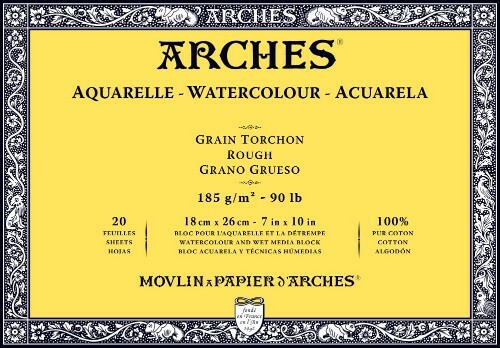 Akvarellblock Arches Rough 185g 18x26 cm 20 ark. Akvarellblock Arches Rough 185g 23x31 cm 20 ark. Akvarellblock Arches Rough 185g 26x36 cm 20 ark. Akvarellblock Arches Rough 185g 31x41 cm 20 ark.